New, sliding, tool storage drawer system for vehicles. The TrekDror system increases space efficiency; provides easier access, more security, and more flexibility. TrekDror is made from lightweight corrugated steel and is designed to fit into smaller spaces, such as under a shelf or between wheel arches. The system is stackable and includes bolt down points so it can be fixed down, plus 5-lever deadlocks for extra security. 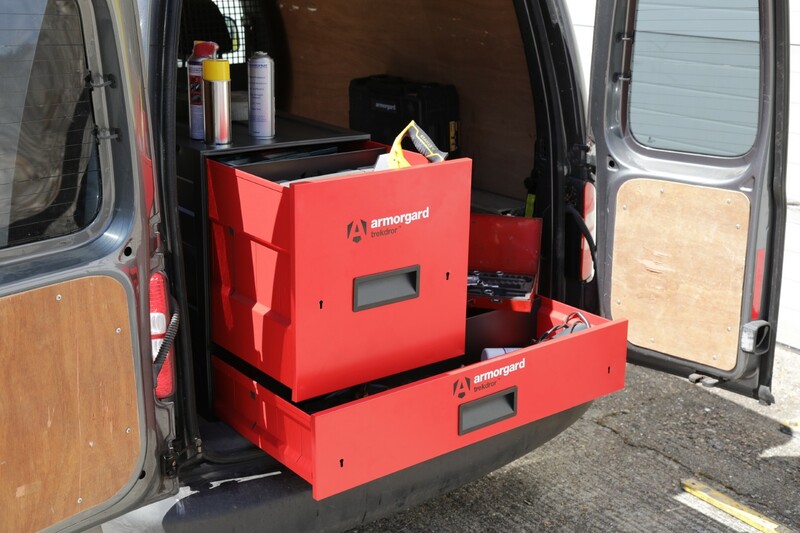 Constructed with a unique ultra-smooth bearing and roller system, the storage drawer has a 75kg capacity and is 80% extendable so that tools can be accessed easily and safely. The drawer can also be easily removed if required. 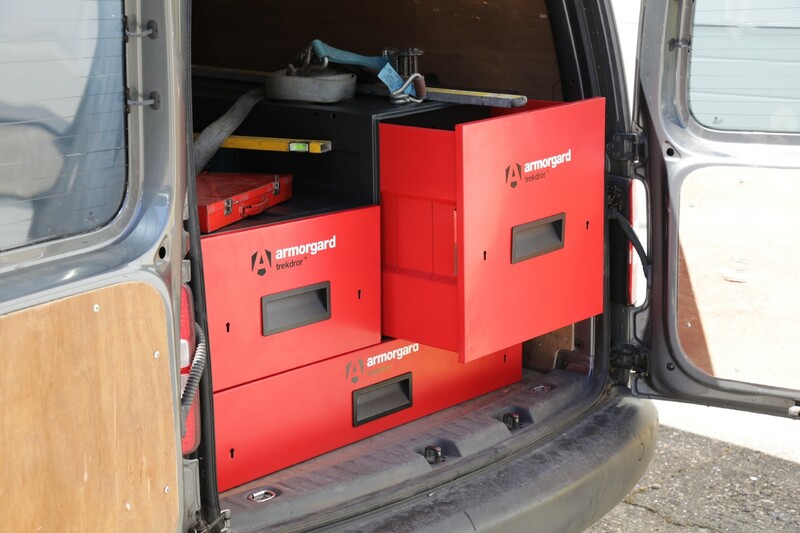 “TrekDror has been designed and built for the tradesperson who relies on a van to transport them, and their tools and equipment, to jobs,” said Matt Partridge, Head of Product Development at Armorgard. “Because access in vehicles can be quite restricted, a traditional toolbox cannot have items stored on top as this would prevent the lid from opening. TrekDror solves that problem, optimising in-vehicle storage, and offering additional security.